How is it that President Obama looks the other way when asked how he has helped to create any policies that will help the Latino Community? Or rather he does not shun the questions, he merely laughs and says that he has 5 more years to work on Immigration reform. This is how disconnected he is to the community. He believes that Immigration is the only vital issue that will bring peace to the havoc that his broken promises have brought to the community. Everyday the rise of unemployed Latinos succumb to pressure, and give up on opportunity in this country because they are living a life that has a dead end to prosperity. According to the Pew Hispanic, the wealth of Latino households fell by 66% in the last 6 years. Thus, the “hope” that Latinos anticipated that a new President would bring to this country, and the community’s possible prosperity, has now dwindled into a resentment mood towards Obama and his policies that have caused more harm to the community than any other administration. Unemployment among Latinos has remained the highest in the last two years between 11.3% in 2011 to its current 10% in 2012. Many contend that lack of education is mostly responsible for this wearisome figure, but others look to the lack of opportunity arising from those unfulfilled promises made back in 2008 made by Obama. As a result, a resentment vote is brewing towards Obama in the minds of Latinos. In 2008, Candidate Obama promised the Latinos that he sought to unite America by giving an open opportunity to everyone. During the campaign in 2008, he repeatedly mentioned Comprehensive Immigration Reform and how he would focus on passing something during his first year in office. To many, this was exactly what brought them out to vote, finally someone who was willing to work with a Democrat Congress to address issues important to the community. Latinos anticipated that this immigration reform would give them opportunity in economics and education. In fact, this was one of the reasons that Latinos came out in record numbers to vote for that anticipated “change.” On and on, Obama drove this mantra into the Latino Voters, “in the first year of my administration, Comprehensive Immigration Reform will be one of my main priorities,” but that never solidified. It was never even attempted. Latinos Ready To Vote! 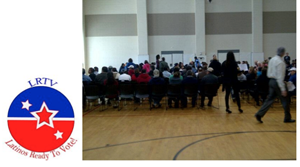 Is a conservative organization that helps with outreach to Latino voters in Houston, Texas. In fact, through these forums that we have the opportunity to listen to voters who say that they feel ridiculed and foolish for having believed Obama’s well spoken rhetoric of hope. Moreover, many of these Latino voters now state that they will not vote for Obama in the upcoming election. Latinos Ready To Vote! also helps legal permanent residents become new citizens. These new citizens will vote for the first time in 2012, and they firmly state that they are becoming citizens for two reasons. First, they feel that they want to protect themselves from being deported by this administration. And second, as new voters, they want to flex their power with this new found right, and they want to ensure that their vote will not go toward the Obama administration. This resentment vote is alive and growing as we near the election. Moreover, it is the vote that the Republicans should bank on for this upcoming election. Obama bears the responsibility of those broken promises because they have affected the education and prosperity avenue for many Latinos who could have advanced to a better opportunity by now. Instead they have high unemployment, separated families, and a lost opportunity for attending college by many of the young who are now of voting age. 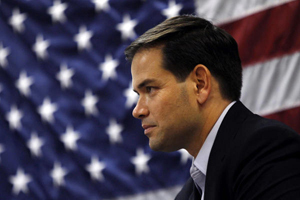 Subsequently, Republicans have toned down their rhetoric regarding immigration in part because Senator Marc Rubio warned the party of a loss of allegiance from Latinos if they did not. And he was wise to advise not only the party, but those candidates who staunchly insist that they want legal immigration. Everyone does. This pervasive issue is intermingled with other issues that ail the community. As such, Latinos are affected by immigration and that includes both legal and illegal, and it is that latter that has been used a voting “tease” by both parties. What is not present in the rhetoric is that immigration is tied into our economy, education and prosperity. For many years that we have allowed people to misdirect us to believe that immigration is bad for the U.S., they have also managed to convince many that Latinos are “probable cause” for being illegally present in the U.S. and that is just not true. In fact, this misconception has given rise to laws like SB1070 that has opened the door to a disunity and an appearance of “racism” by both parties. On the one hand, a small hand of Republicans introduced a law that seeks to “discretionarily” detain those looking or “appearing illegal,” while the Democrats did not raise a hand during the recent Supreme Court oral arguments, to show that the term “discretionary” can infringe not only on the average American, but especially on the “Latino” American living in the Southwest. And yet, many will look the other way, hoping that Obama didn’t really mean to tell his lawyers to half heartedly argue against SB1070 so that the fear of Republicans by Latinos can be kept alive. It is a pathetic way to keep the Latino community in the shadows full of fear and limited options, and to subtly suggest that the Republicans are racists. And we are not. Obama further promises that he seeks to lower the interest rate or even forgive the educational loan for many young students. Yet, how does that affect the average young person who cannot find a job? While this may mean one less debt to pay, the young have little prospects of a job for the future. Rather than focus on implementing educational prosperity for the Latino student as Texas has done, Obama gives the attitude that education is the key to prosperity, but which prosperity does he mean? His double entendre leaves us again, confused listening to spoken speeches that do not offer solutions. Instead Obama offers higher taxes, growing debt, and larger Federal programs. In the Southwest, the Latino community has prospered with sound economic policies that were implemented to provide more opportunities for the expanding Latino population. For instance, the educational plans Texas has implemented for the young 27.3% under the age of 18, gives rise to opportunity. The top ten percent admission program offers young students, who graduate in the top tier of their High School class, admission into a State University. In fact, it has proved to be a magnet in help to keep the young student in school. Those who were 15 years old in 2008 and who sought opportunity in education have benefited in Texas because of these policies that were led by the conservatives who believed and sought ECONOMIC opportunity for the Texas population. Those Latinos will remember this come November. Obama has not been forthcoming in his promises to the Latino community or Americans for that matter. Currently, Latinos are feeling the effects of their 2008 vote for Obama, and it has not been for the better. From education, to jobs and immigration, many Latinos now resent the failed leadership and the vacuum of power demonstrated by the Obama Presidency. Where in previous times Latinos were a growing middle class of success, they now see themselves perplexed and oftentimes embarrassed that they believed Obama would help them achieve these dreams of prosperity. It wasn’t meant to be in 2008, and the resentment vote may make it a limited one term for Obama. Republicans must step up now and help to lead America, especially the Latino community, out of this mess of hopelessness. The Republicans could have turned the tables on Obama and come up with their own comprehensive immigration reform plan. Rubio's scaled back Dream Act will not do it for the GOP because the question remains what Romney has in store for granny and auntie. Will their lives be made so miserable that they self-deport like Romney suggested in one of the debates? Yes, many Latinos/immigrants are disappointed that Obama punted on immigration reform, but given that the Republican alternative only offers self-deportation for the more than ten million undocumented immigrants who will not qualify for any version of the Dream Act, Obama is perceived as the last line of defense against mass expulsion and recent polling shows that a majority of Latinos/immigrants will vote accordingly. ALL WE ARE DOING BY GIVING ASSISTANCE TO FOREIGNERS, IS ACHIEVING MORE POVERTY FOR OUR PEOPLE; OUR SICK, MENTALLY ILL, OUR HOMELESS, OUR POOR AND EVEN OUR TROOPS COMING HOME SHOULD BE OUR TOP PRIORITY? If you cherish your freedoms from the corruption in Washington that benefits all of us, we need a balanced tax system with no subsidies, a right to drill on the Peoples National land and sea for plentiful reservoirs of oil, natural gas to alleviate our out-of-control deficit. No more government bail outs for the friends of the White house. Throw out all the profiteering lawmakers and by cleaning house, put recognizable TEA PARTY leaders in their place. Voters need to demand from Congress, specifically from GOP House speaker, John Boehner of Ohio and Dave Camp of Michigan, as the Chairman of the powerful Ways and Means Committee to stop blocking the 50-state E-Verify bill. Call the central switchboard at 202-224-3121 Washington, DC. For further information on this crisis subject, check with NumbersUSA website, where even Congress consults on immigration matters.